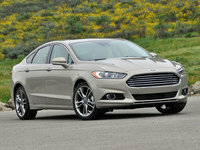 Ford’s full-size sedan remains unchanged for 2015, unless you count the built-in powertrain fixes for last year’s recall. The issue with that engine build amounts to a loose lock—a half-shaft could disengage and basically leave the vehicle in Neutral—so it’s nothing major unless you like going places in Drive and staying put in Park. Dealers have a handle on the older years’ fix, but this Taurus is the last of its generation and expected to be immaculate. Although the next generation is just around the corner, there’s very little detail to date, mainly because the next Taurus is expected to use Ford’s light-weighting innovations it’s invested so heavily in these last 5 years. 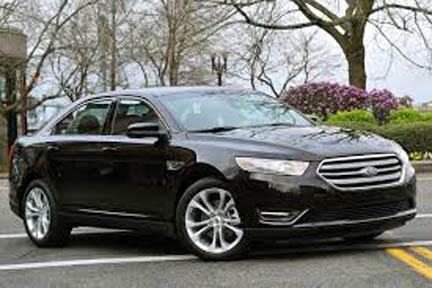 Expanding the Fusion’s front-wheel-drive (FWD) platform to suit a full-size frame with extensive use of aluminum and adding a 9-speed transmission, the 2016 Taurus will very probably be more costly but also more upmarket with much-improved fuel economy and giddyup. As for the current model, drivers are sometimes disappointed to find that the EPA estimates are exactingly true, while others complain about Ford’s lack of attention to detail evident in things like not being able to use climate controls with gloves on, selecting regular cruise control taking more than 10 menus and a heated steering wheel that heats only the majority of the wheel. Otherwise this Taurus is a very solid and large car that drives like a very solid and large car, and you can clearly see that in its performance estimates. The zip-to-60 mph benchmark isn’t even widely published on the 2 workaday engines, because they’re unimpressively nearing 8 seconds, and the SHO actually lost a half-second since the 2010 redesign to arrive just shy of 6 seconds in the current generation. That’s still pretty good, but you won’t reliably get better than 30 mpg anywhere in the lineup. The base engine is a 3.5-liter V6 putting out 288 hp and 254 lb-ft of torque, but it chugs along at 19 mpg city/29 highway with FWD or 18/26 with the all-wheel drive (AWD) option available to the midlevel SEL and Limited trims. The performance-oriented SHO is also and only AWD and estimated at 17/25 with 365 hp and 350 lb-ft/torque coming out of the twin-turbo version of this same engine. SE, SEL and Limited drivers who want nothing more than FWD can opt for the 2-liter turbocharged inline 4-cylinder good for 240 hp and 270 lb-ft of torque at 22/32, but drivers report that highway estimate is a little optimistic, even though it gets the estimated 26 mpg combined. 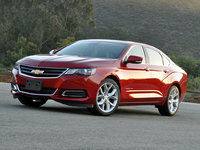 Either way, a 6-speed automatic transmission with manual shift control is the only transmission. Standard equipment is at least spot on for the price. Buying in at the bottom-rung SE nets 17-inch alloy wheels, automatic headlights, blind-spot mirrors, LED taillights, keyless entry, cruise control, air conditioning with rear vents, a 6-way powered driver's seat and a 6-speaker sound system with CD player and aux jack. Upgrade to the SEL for features like heated mirrors with puddle lamps, remote start, dual-zone automatic climate control and smartphone compatibility through Sync. The Limited adds features like leather upholstery, MyFord Touch, a rear-view camera, memory for driver's seat settings and power tilt-and-telescoping wood-trimmed steering wheel. What's your take on the 2015 Ford Taurus? GuruZFJC7 The best car to drive ever this is my6 Taurus I only drive the Ford. GuruZFJC7 Thanks to Heiser Ford where I get all of may car . 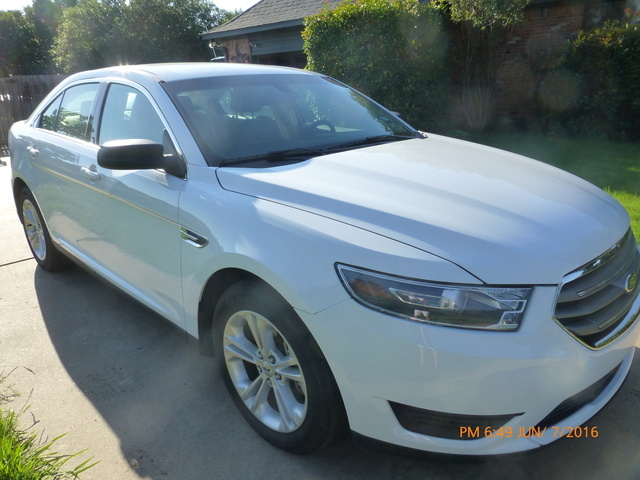 Have you driven a 2015 Ford Taurus? I have a 2015 ford Taurus. It's stuck on vents and I can't move it to defrost. Help. Car has digital controls. I noticed a couple days ago that the vents blowing out from the front of the dash were pushing out more air than I had noticed before.